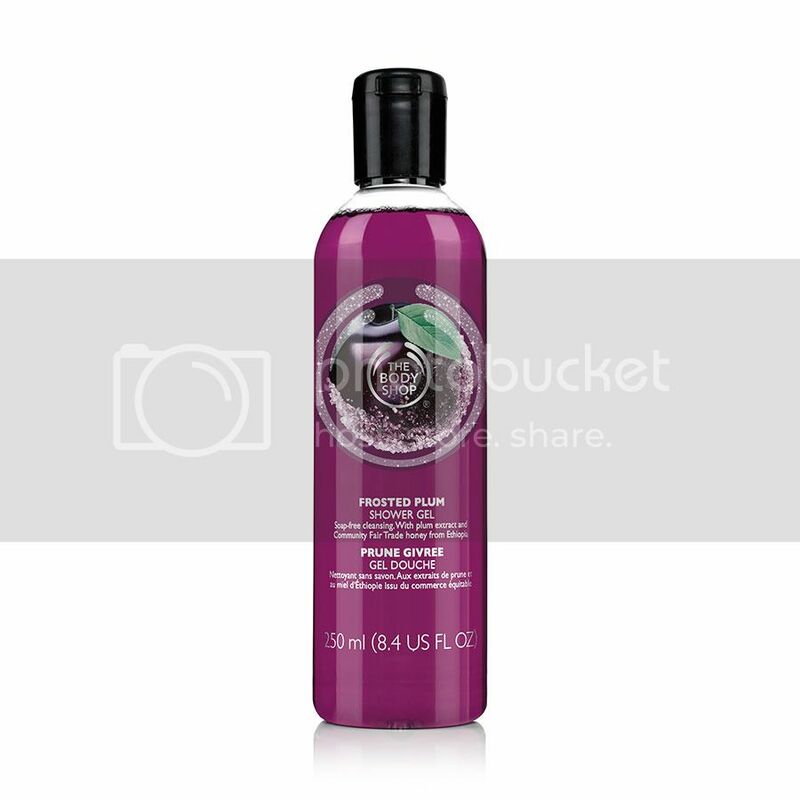 Pammy Blogs Beauty: Holiday Gift Guide 2015: The Body Shop "Feel So Good"! Holiday Gift Guide 2015: The Body Shop "Feel So Good"! Holiday 2015: "Feel So Good" with The Body Shop! Pammy Blogs Beauty's Holiday Gift Guide 2015 Continues with some great gift ideas from The Body Shop! The Body Shop has a great charity lined up to correspond with this year's gift sets! Proceeds from specially selected gift sets from the Body Shop will go towards the International Charity WaterAid. WaterAid helps provide access to safe water to families in Ethiopia. One gift = one day of safe water in Ethiopia for a family. The Body Shop has always been one of my go-to stores for bath products, hair products, and makeup. They have some really fun new items, gift sets, and scents for the Holidays! There is a ton to choose from. I will share my thoughts on a few things that I tried from The Body Shop's Holiday lineup! What a lovely new scent for Wintertime! This is an elegant blend of ripe plum, magnolia, and peony. I like that this scent is fruity and fresh without being overly sweet. It is just right! Items available include Body Butter, Bath Fizzers, Sugar Scrub, Body Lotion, and Shower Gel. I got to try out the Shower Gel and the Bath Fizzers and I just adore them! I take lots of baths in the Winter as well as long showers. So, bath products are always an ideal gift for be to both give and to receive. In addition to this awesome new Frosted Plum scent, the Body Shop has also just introduced Frosted Cranberry and Glazed Apple. Wow! What a gorgeous gift set. It all comes wrapped up with a big red bow in a cute green cylindar box: no need for additional wrapping. :) This box includes so many products to indulge in! This collection was inspired by the traditional Japanese green tea ceremony. The scent is refreshing and reviving. Perfect for Winter as well as year-round! The scent contains everything you need to envelope yourself in this lovely scent: Fuji Green Tea Eau de Cologne, Fuju Green Tea Body Scrub, Fuji Green Tea Body Wash, Fuji Green Tea Body Butter, Fuji Green Tea Body Sorbet, and Fuji Green Tea Body Lotion. Plus, this gift provides one day of safe water for a family in Ethiopia. Amazing!!! There is nothing better than a gift that gives back! This is just a small sampling of what The Body Shop is offering for Christmas this year! In addition to body products, they have some really beautiful and limited edition cosmetics as well. Be sure to check out the Body Shop's "Feel So Good" Holiday Collection in store and online! Great gifts and tremendous values! Oh yes, you can never go wrong with a set from TBS!